The 10th Anniversary Sean Fisher Memorial Event was held Sunday, August 19 - 5 pm to 7 pm at the Waldwick High School Turf field. The event was held to Celebrate Sean's Life and Supporting the Sean Fisher Foundation. Sean passed away on August 13, 2008 (his 13th birthday) during football practice on the WHS turf of an undetected heart defect. His parents, Sheila and Jim, created the Sean Fisher Memorial Foundation to provided funding for heart screenings for students to hopefully prevent this tragedy from ever happening again. This event is to raise funds and awareness, as well as to honor Sean's life. The friends of Sean's put together an Air band contest. What is an Air band? It's a fun way to play air guitar, air drum, air sing, air anything and jam to great music! NO TALENT NECESSARY!! It was a fun and beautiful way to show support of the Fisher family and honor Sean's memory. All proceeds go directly to the Sean Fisher Memorial Foundation! 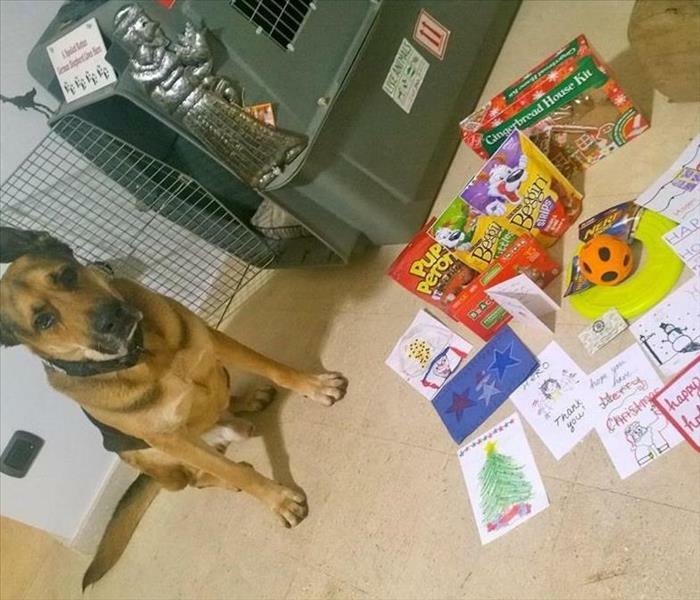 Rex received his Hero Christmas box and I cannot thank you all enough. Rex smelled the box, as if he KNEW it was for him. We love the cards and I read him each one after dinner. He went for the ball first, then he had some of the delicious snacks you all packed. What an incredible surprise! You really made our entire Christmas. 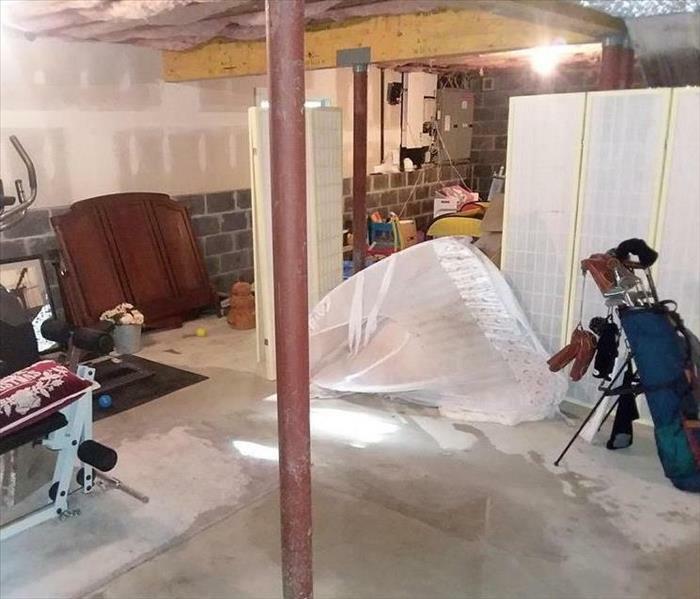 Please extend our sincere thanks and gratitude to the family for their generosity and kindness. I have added a picture of Rex while he was working at the US Embassy in Basrah, Iraq. He worked as an Explosive Detection Dog in Iraq from 2011 to 2016. Thank you for sending these incredible gifts and amazing cards. We are so touched and you made this old War Dog very happy. Congratulations to Kasia and Ryan (not pictured) for receiving The Certificate of Appreciation from the Local Detachment of the Marine Corps for their hard work and generosity towards the 2016 Toys for Tots Campaign. 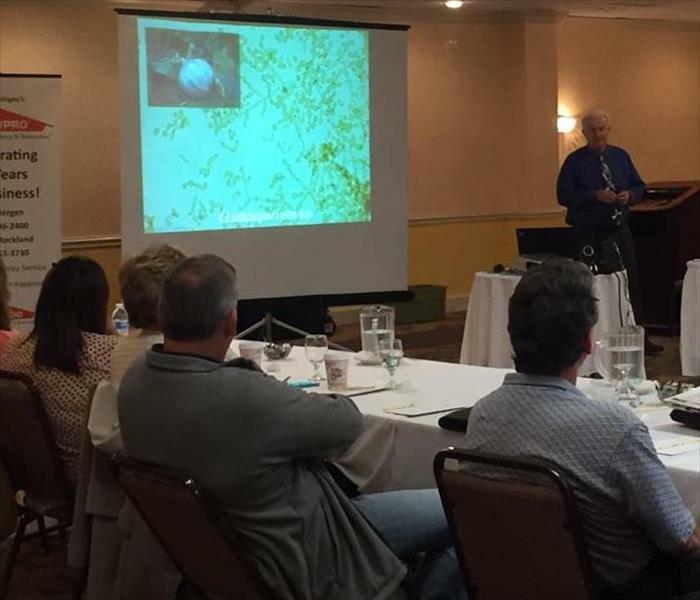 Karen presented a mold presentation to RealSource realtors at the December Affiliate Tool Box meeting. 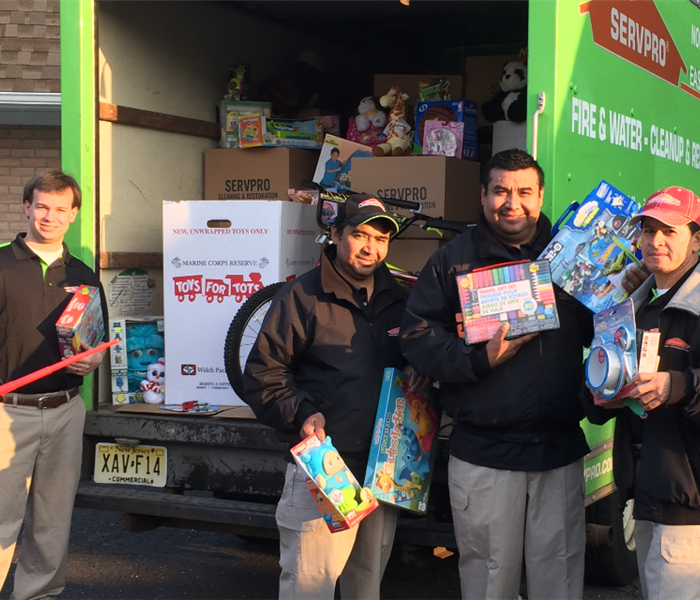 Help Charlie Vingoe’s SERVPRO of Northwest Bergen and Southern & Eastern Rockland continue the tradition of giving this holiday season as we once again host a toy drive for Toys for Tots. Any Questions? Or need your toys picked up? 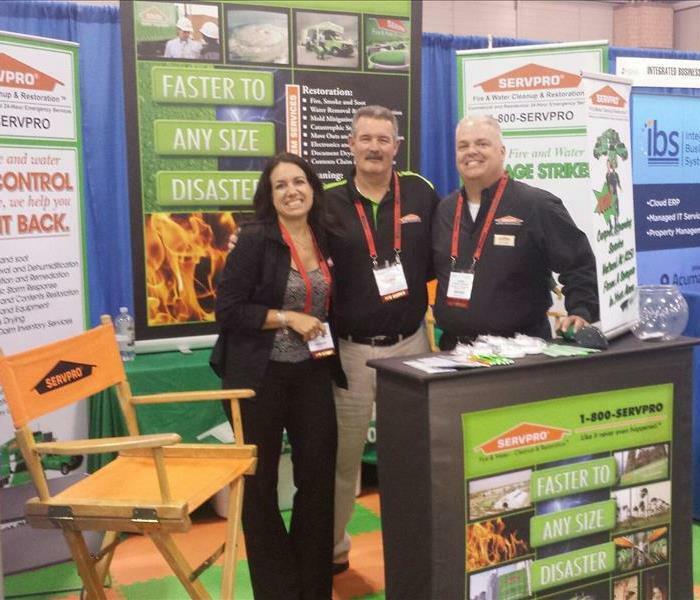 Contact Ryan Webber at RyanWebber02@gmail.com or SERVPRO’s office at 201-236-2400. Join Charlie Vingoe's SERVPRO at RealSource for Member Appreciation Day And Affiliate Chili Cook Off! 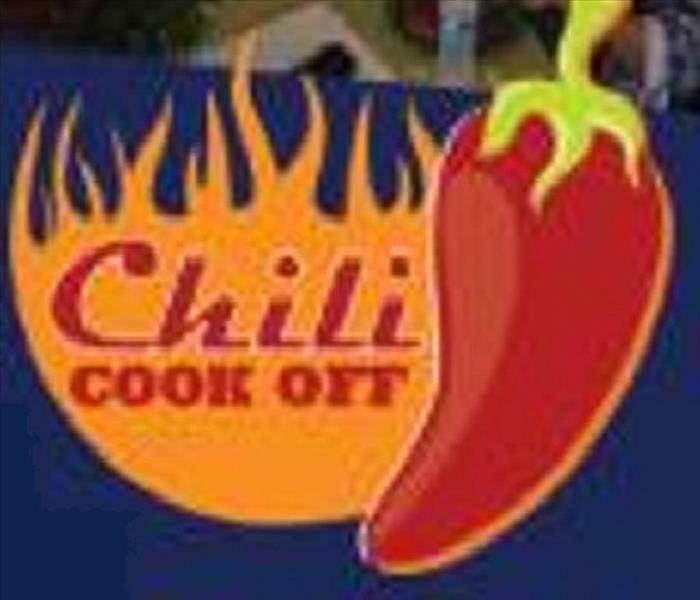 SERVPRO is an affiliate member of RealSource and is supporting our partnership by joining the chili cook off. We need your support! Vote for SERVPRO's mouth watering Vegetarian Chili! The event is FREE to all RealSource members. Stop by RealSource on Thursday September 22nd between 12-2pm and enjoy the BBQ buffet, games, and fun! 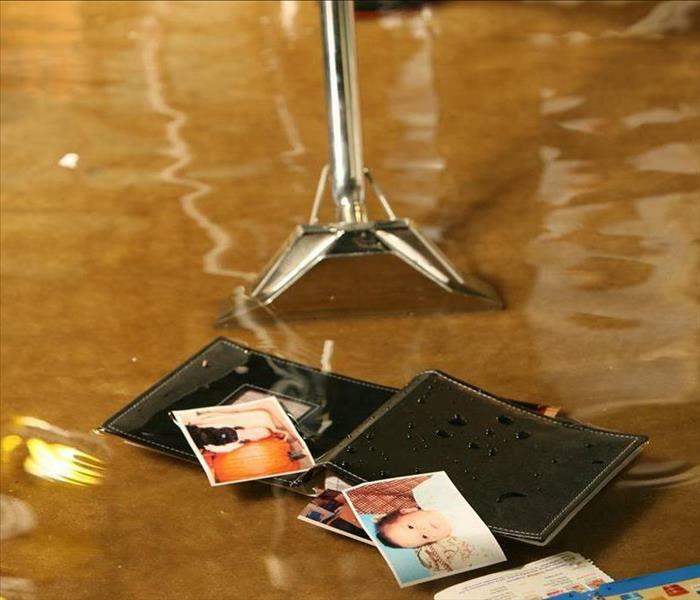 Don't forget VOTE SERVPRO Northwest Bergen / Southern and Eastern Rockland County. Visit the RealSource website for more information. 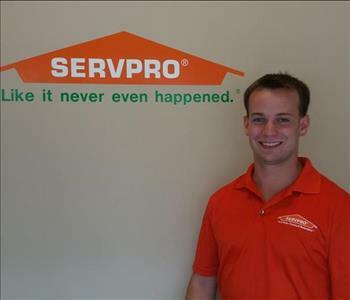 Art Holl, Business Development Manager at SERVPRO Northwest Bergen / So. 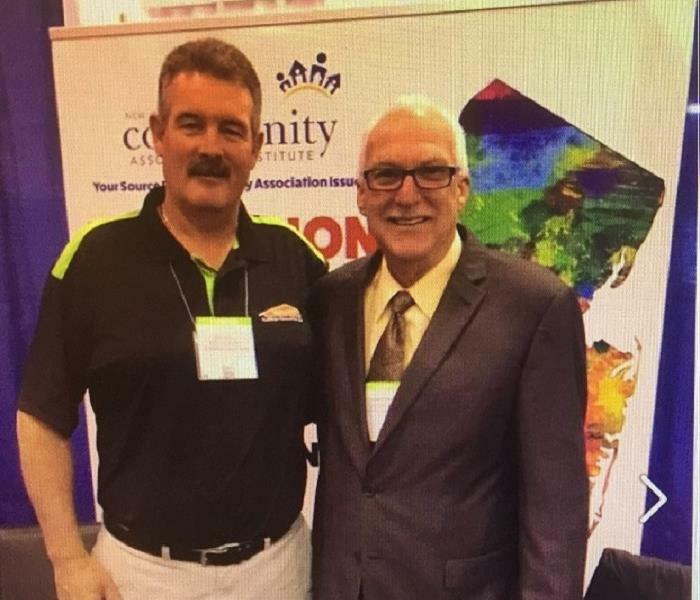 & Eastern Rockland County attended the NJ Apartment Association Trade Show, in Atlantic City on May 24th. Go Team Green! On May 26th-SERVPRO held a free Continuing Education Mold Class. 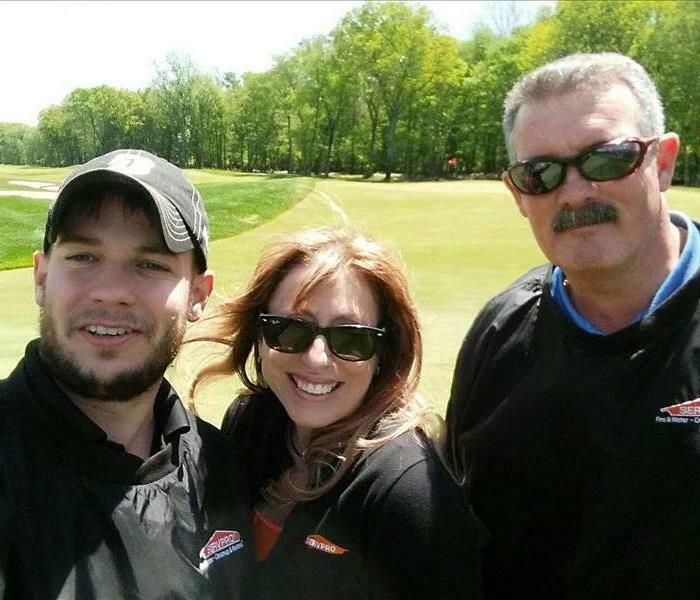 Our very own Karen, Ryan and Art handed out SERVPRO Tee's and Sponsored a Hole at the golf outing. Congratulations to Lina M. of Piermont, NY. She was the winner of our Carpet Cleaning raffle valued at $225 at the Suburban Home Show. 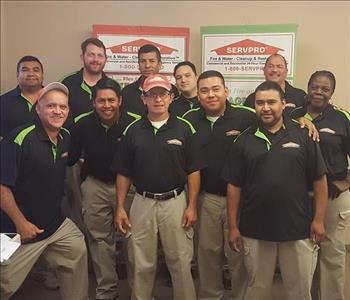 SERVPRO offers state-of-the-art equipment, over 40 years of experience and Professionals trained to the highest standards, call us today. 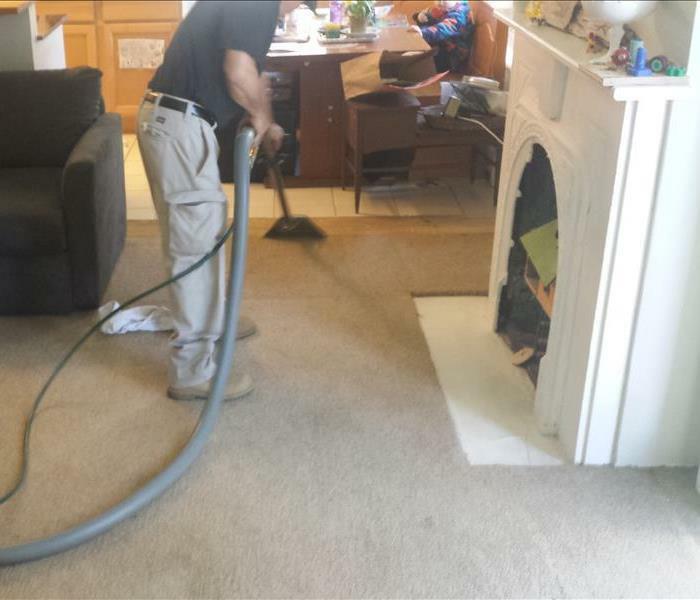 SERVPRO can make your carpets look great! Just like Lina's carpets. 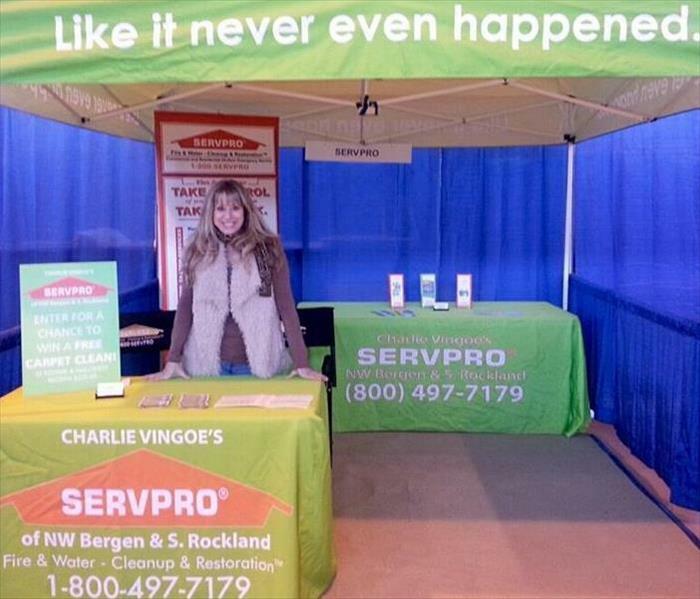 We had a great weekend at the Suburban Home Show.Thank You to everyone that stopped by our booth! 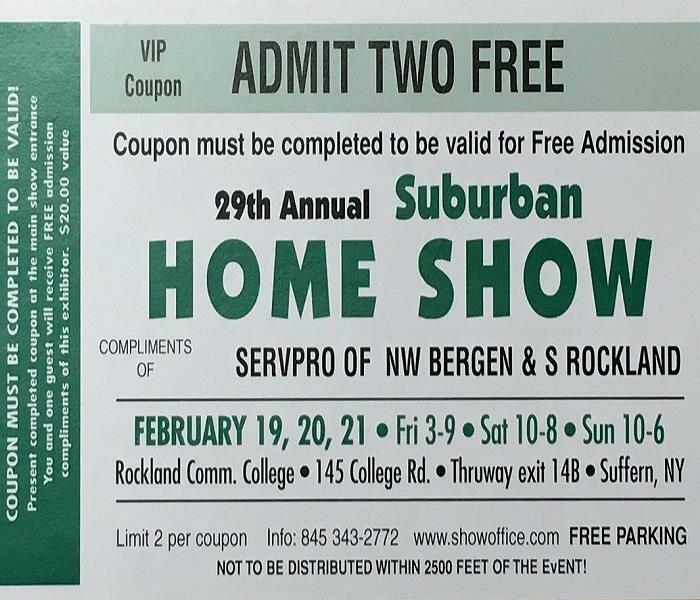 Join us at the Suburban Home Show. Call 1(800)497-7179 to receive your FREE VIP Coupon. 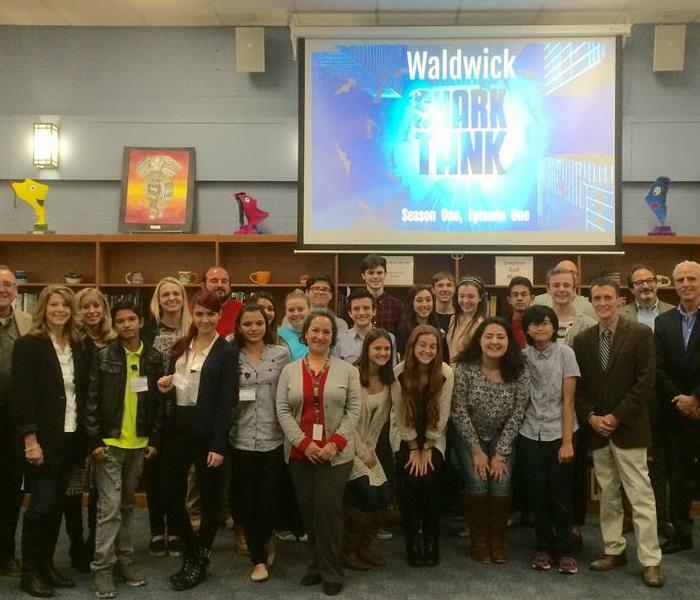 Our very own Karen Centauro participated as a Shark, at Waldwick High School's Shark Tank Season 1. She really enjoyed listening to the students idea's and products. She said several of the students have very marketable products and hope they consider pursuing them! She invested in four companies and can't wait to participate in Season 2! The students should be very proud of themselves for both their ideas and presentations. 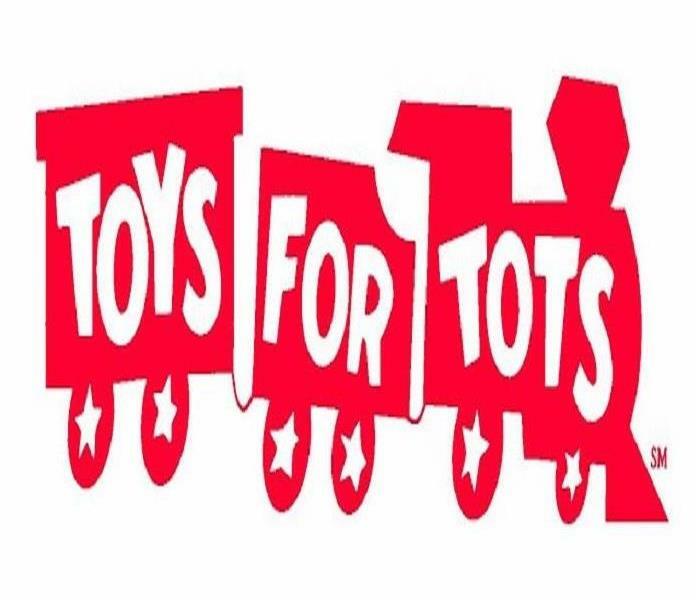 Thank You to everyone that donated a toy to the Toys For Tots! It was a huge success! 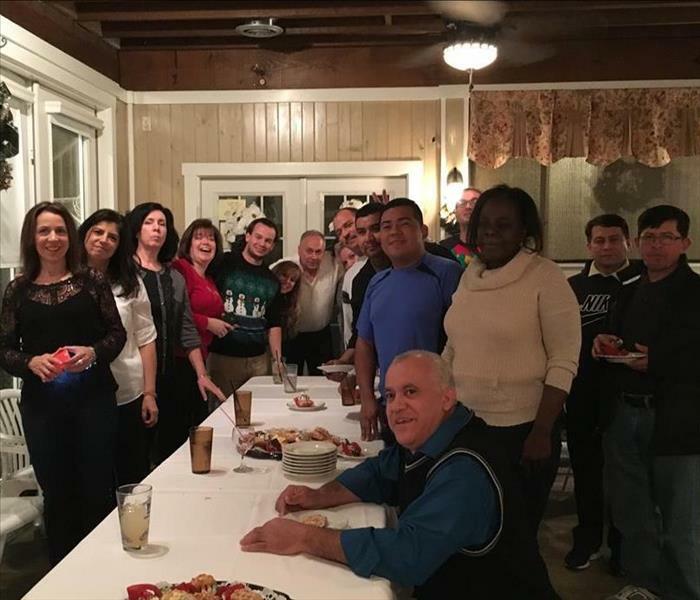 Thank You Charlie and Donna for a wonderful Holiday Party! 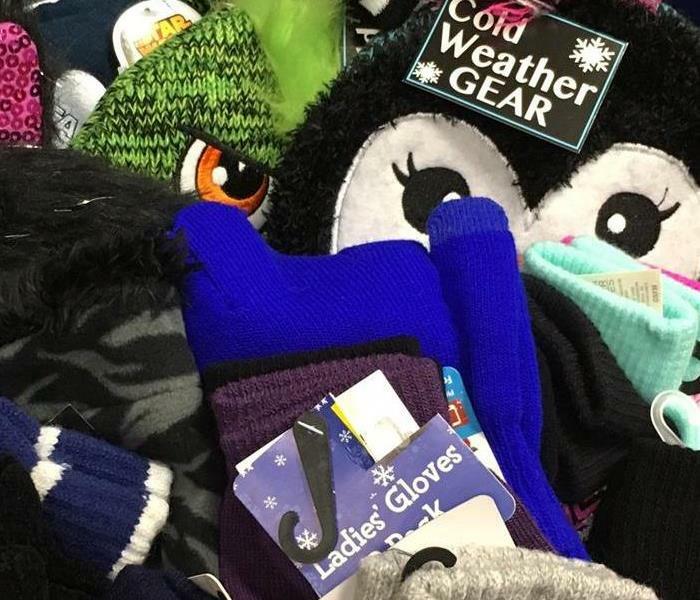 Here is just a small sample of all the donations we received for the Warm Hands, Warm Hearts Mitten and Hat Collection. Thank You to everyone who donated and made this mission a success! These donations will be going to the following local charities, Center for Food Action, CAMP, and Center for Hope & Safety. Volunteer's come out to support Kerry's Garden. 1500 bulbs were planted to honor our friend and co-worker Kerry Sauner. SERVPRO supplied lunch for all the volunteers that worked hard to help with Kerry's Garden. 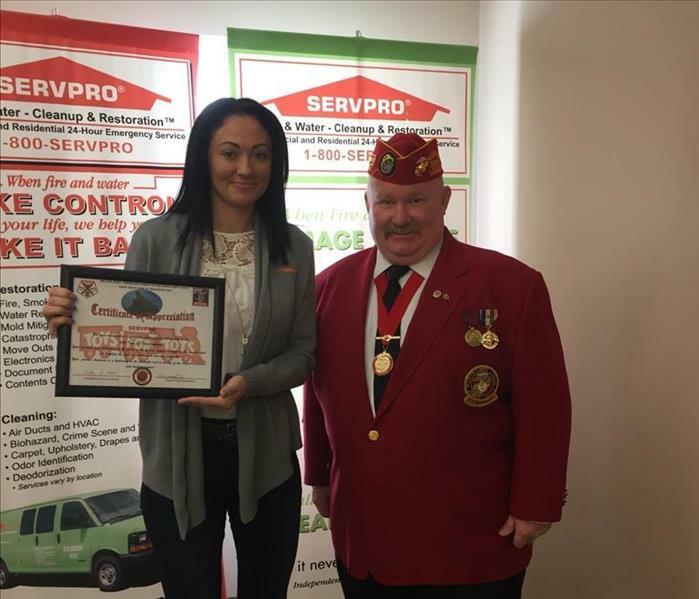 SERVPRO and Jack Daniels partner up to support Service Men and Women. 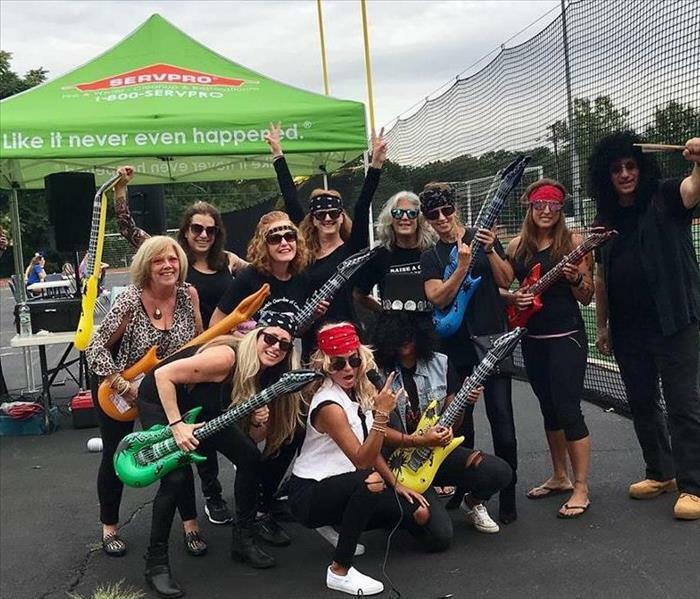 SERVPRO hosted a great night of food, fireworks and baseball. Everyone had a great time!